While there has ever been an official statement of why Rolex moved from gilt/gloss to matte in the latter half of the 1960’s, matte dials seem to exude the ‘tool watch’ vibe that Rolex aspired to inspire – while (likely) keeping production costs lower. Simply, these dials have a matte finished black background with the text, minute, and hour markers printed on top in white and tritium lume applied on top. 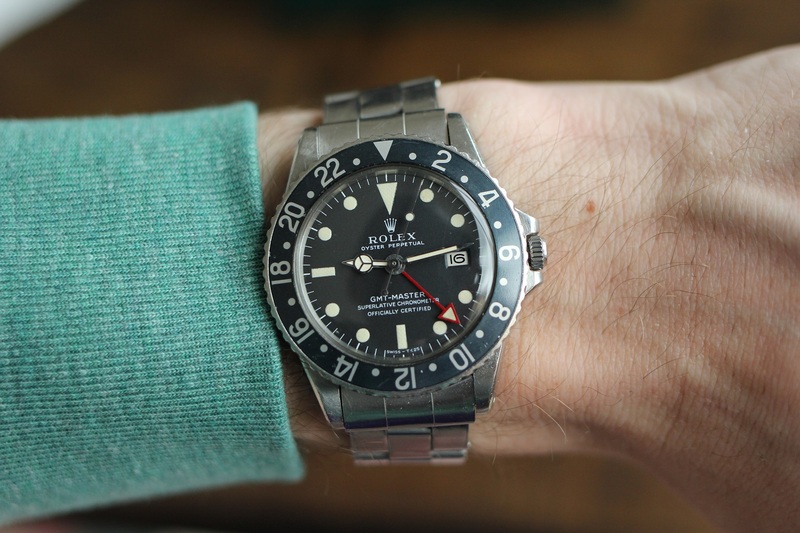 But, due to the long production run of the matte dialed GMT Master (1966-1984, based on case backs & serial numbers) and the continual tweaks Rolex was want to make, the variations are anything but simple. Below are the established iterations of the matte dial with links to each page, which you can also access through the drop down menu. Credit for establishing this system and its upkeep goes to Springer on TRF and Bill on PursitSPro. Thank them when you get a chance!